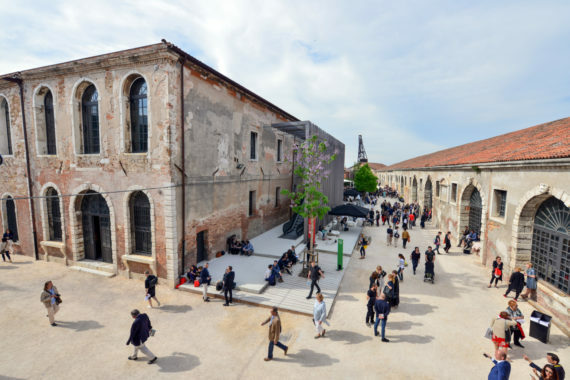 The 58th Venice Biennale runs from 11 May to 24 November 2019. Here we pick out some national presentations you shouldn't miss. 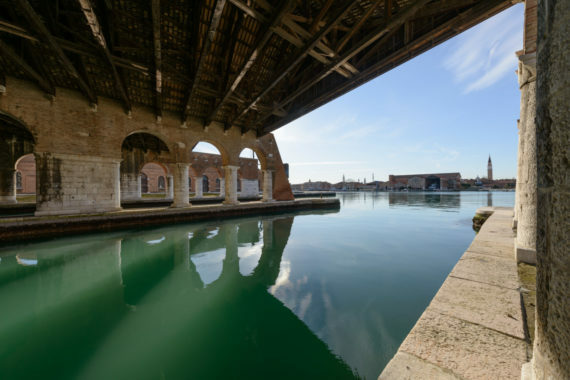 This May sees the return of the Venice Biennale for its 58th edition. Titled ‘May You Live In Interesting Times’, the International Art Exhibition is curated by Ralph Rugoff, director of London’s Hayward Gallery, and will be presented as ‘Proposition A’ in the city’s Arsenale and ‘Proposition B’ in the main pavilion of the Giardini site. 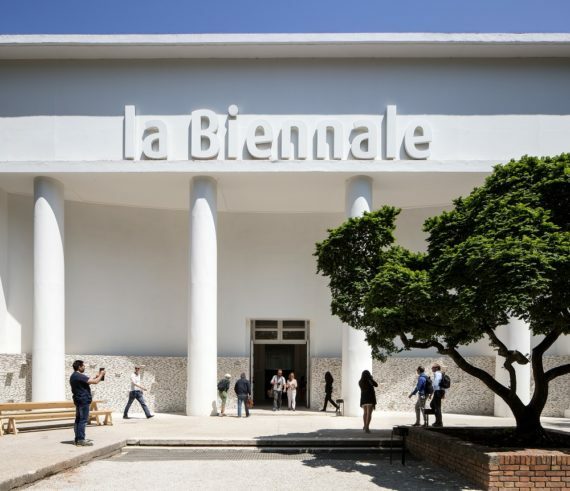 The Biennale also includes 90 national pavilions and 21 ‘collateral’ events, with highlights including Turner Prize nominee Cathy Wilkes’ show for Great Britain, 2018 Turner Prize-winner Charlotte Prodger’s commission for Scotland, and US sculptor Martin Puryear’s exhibition at the United States pavilion. A number of nations are participating for the first time, including Algeria, Ghana, Madagascar, Malaysia and Pakistan. The Dominican Republic presents its own pavilion at the Biennale Arte for the first time having already participated in previous editions as part of the IILA. 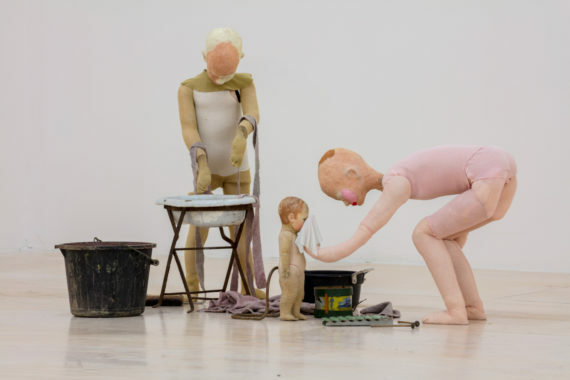 Glasgow-based, Belfast-born artist Cathy Wilkes has been selected to represent Great Britain at the 58th International Art Exhibition. Wilkes graduated from Glasgow School of Art in 1988, and completed her MFA at the University of Ulster, Belfast, in 1992. Her 25-year career has included a Turner Prize nomination in 2008 and solo shows in New York, Glasgow, Liverpool, Chicago, Pittsburgh, Bremen and London. In 2017, she was the inaugural recipient of the Maria Lassnig Prize, which resulted in the largest solo exhibition of her work to date taking place at MoMA PS1, New York 22 October, 2017 – 11 March 2018. She also represented Scotland in the Venice Biennale 2005 as part of the exhibition ‘Selective Memory’, and was featured in ‘The Encyclopedic Palace’, part of the 2013 Venice Biennale. The pavilion is this year curated by Tate’s curator of international art, Dr Zoe Whitley. Her selection is a result of the British Council’s project to widen access to international working for UK visual arts professionals. The appointment was made following an open call for a UK-based mid-career curator. 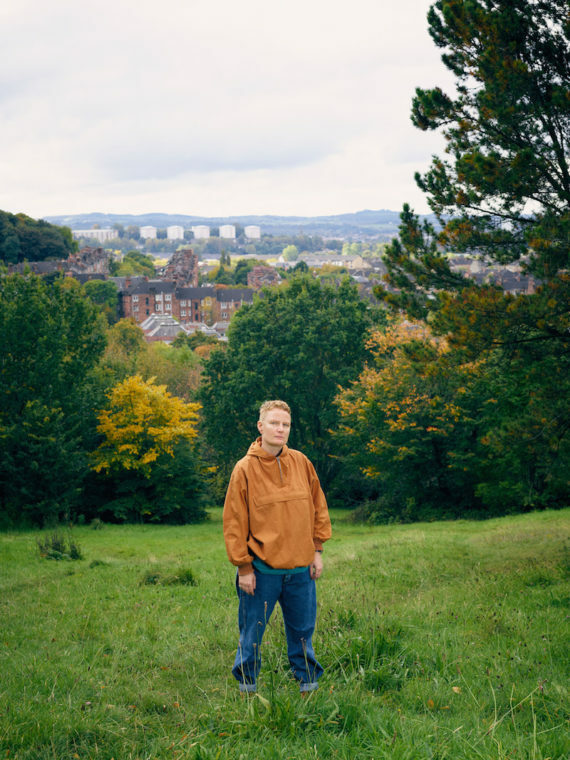 The Turner Prize-winning artist Charlotte Prodger, who works with moving image, sculpture, writing and performance, will be Scotland’s representative. She will create a single channel video work, with the commission developed during a series of research and production residencies at Cove Park, a residency centre located on the Rosneath peninsula. Supported by her production consultant Mason Leaver-Yap, it will continue her ongoing exploration of ‘queer wilderness’. Aside from winning last year’s Turner Prize, the Glasgow-based artist is a previous winner of the Margaret Tait Award, and has been shortlisted for the Jarman Award. Her show at Venice will be curated by Linsey Young with Cove Park. Sean Edwards has been chosen to represent Cymru yn Fenis/Wales at Venice. A graduate of Cardiff School of Art & Design and the Slade School of Art, Edwards’ practice spans sculpture, film, video, photography, books and performance. 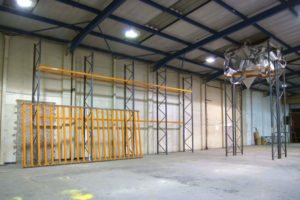 Represented by Tanya Leighton Gallery in Berlin, he has exhibited internationally and is currently undertaking public art commissions with Future City in Cambridge and Studio Response in Cardiff. The artist is also known for his support for emerging artists, first as part of Cardiff’s artist-led g39 and now as a lecturer in fine art at Cardiff School of Art and Design. Exploring social class and the everyday, Edwards will create a new body of work for the show that draws on his experiences in 1980s Cardiff, growing up on a council estate that lay on the outskirts of the city. 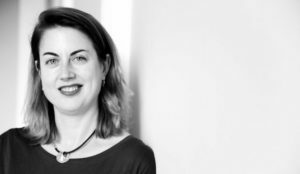 Working alongside commissioner/curator Mary Cremin, director of Void Gallery in Derry-Londonderry, the London-based Irish artist Eva Rothschild will develop an immersive installation for the Irish pavilion at the 58th Venice Art Biennale. The work will engage in conversation around ideas of precarity, political and environmental instability and what it means to be a global citizen. 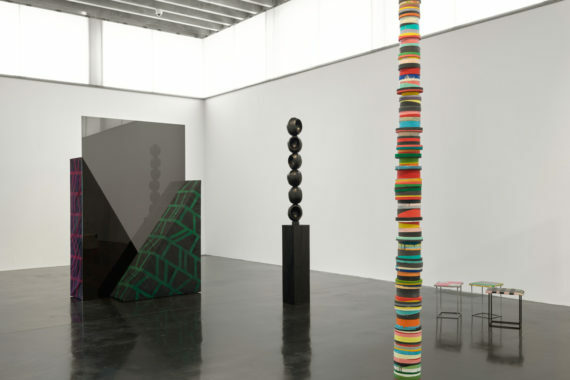 Rothschild has exhibited her sculptures internationally at The Nasher Sculpture Centre in Dallas, Witte de With in Rotterdam and The New Museum in New York. Commissions have included a Public Art Fund Commission for New York’s Central Park, Tate Britain’s Duveen Gallery and The Whitechapel Gallery Children’s Commission. Rooted both in Ghanaian culture and its diasporas, the first Ghana Pavilion at the Biennale is entitled ‘Ghana Freedom’, after a song composed by E.T. Mensah on the eve of the independence of the new nation in 1957. The show will examine the legacy of that freedom through work by six artists, split across three generations. The exhibition will include large-scale installations by El Anatsui and Ibrahim Mahama, portraiture by photographer Felicia Abban and painter Lynette Yiadom-Boakye, a three-channel film projection by John Akomfrah, plus a video sculpture by Selasi Awusi Sosu. After an eight-year hiatus India returns to the Venice Biennale with a Gandhi-themed exhibition and a line-up of seven modern and contemporary artists. These include Atul Dodiya, GR Iranna, Jitish Kallat, Shakuntala Kulkarni and Ashim Purkayastha, who will all show alongside works by two dead artists, Nandalal Bose and Rummana Hussain, in the exhibition ‘Our Time For a Future Caring’. The show, which is only the second time India has exhibited at the biennale, will celebrate 150 years since the birth of the Indian independence leader Mahatma Gandhi, and was commissioned by the New Delhi-based National Gallery of Modern Art. The inaugural Pakistan Pavilion will feature a solo project by the multi-disciplinary artist Naiza Khan. 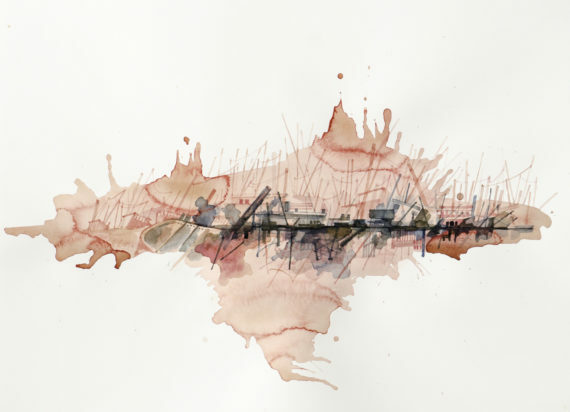 Based between Karachi and London, she has spent the last ten years investigating the transformations of sites including Karachi Harbour and Manora Island. Her practice, which involves detailed research, documentation and mapping, looks at how the reshaping of these landscapes reflects wider changes in the Global South. Khan’s exhibition, ‘Manora Field Notes’, is curated by Zahra Khan, and will respond to the Biennale’s theme ‘May You Live in Interesting Times’. Alluding to the ‘uncertainty of the modern age’, the project will engage with multiple narratives including archival material, historic myths, conversations with local communities and ruined buildings. The Japan Pavilion will feature the work of artist Motoyuki Shitamichi, who has collaborated with composer Taro Yasuno, anthropologist Toshiaki Ishikura and architect Fuminori Nousaku. It takes as its starting point the ‘tsunami stones’ Shitamichi came across in the Yaeyama Islands in Okinawa in 2015 and has been researching and photographing for several years. The resulting installation will feature music and speech alongside visual elements. Russia’s entry for the 2019 show marks the first time an institution – and not an individual or group of artists – has curated a national pavilion. 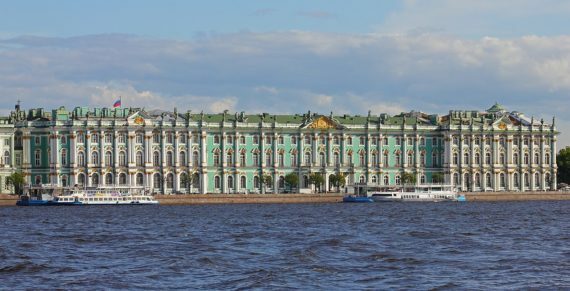 St Petersburg’s State Hermitage Museum, spearheaded by its general director Mikhail Piotrovksy, is overseeing the exhibition. The show will be influenced by the Gospel of Luke and includes an installation by the film director Alexander Sokurov that portrays both one of the Hermitage’s famous halls and an artist’s studio, which looks out over ‘the turmoil and war surrounding the modern world’. 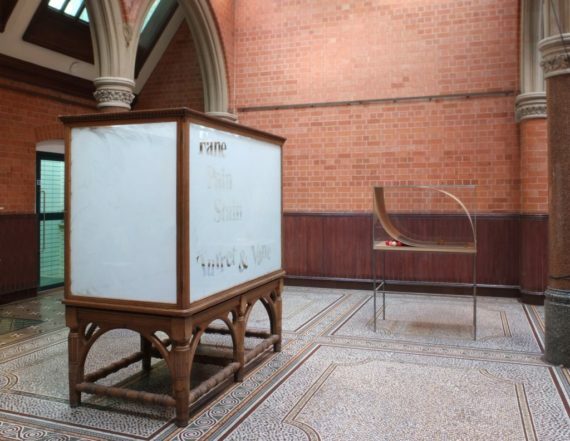 Curated by Brooke Kamin Rapaport, the United States’ exhibitor for the 58th Biennale is Martin Puryear. With a practice now spanning half a century, he is know for his sculptural works in wood, bronze, rattan, iron, tar, mesh, granite, fieldstone and other materials. Based in the Hudson Valley region of New York, Puryear’s work is in various major public and private collections in the United States, Europe and Japan. 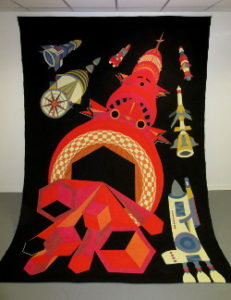 A 2007 retrospective organised by MoMA, New York toured to a number of high-profile institutions, including the Modern Art Museum of Fort Worth, National Gallery of Art, Washington, D.C. and San Francisco Museum of Modern Art. The 77-year-old African-American artist received a National Medal of Arts from then-president Barack Obama in 2011. The Australian pavilion will feature Assembly, a three-channel video work featuring an ensemble of performers that reflect the ‘diverse cultural heritage and ancestries of contemporary Australia’. These include around 40 artists, performers, musicians and creative practitioners, including author David Malouf, dancer Deborah Brown, composer Max Lyandvert, film producer Bridget Ikin and cinematographer Bonnie Elliott. Developed by the Sydney-born, Paris-based artist Angelica Mesiti and curator Juliana Engberg, the footage was shot at Australia’s Old Parliament House, in Canberra, and the Italian Senate in Palazzo Madama, Rome. The national pavilion of Zimbabwe will be represented by the artists Kudzanai-Violet Hwami, Neville Starling, Georgina Maxim, and Cosmas Shiridzinomwa. Curated by Raphael Chikukwa, the project is titled ‘Soko Risina Musoro’, which refers to a poem of the same title by the Zimbabwean writer Herbert Chitepo. Maxim’s work explores the hidden histories behind traditional African textiles, while Shiridzinomwa is best known for works that interweave socio-political references. Meanwhile, Starling produces multimedia installations based on explorations of memory and personal history, whilst Hwami creates figurative paintings often formatted as portraits. Zagreb-based artist Igor Grubić will represent Croatia with his project ‘Traces of disappearance (in three acts)’. Known for making site-specific interventions in public spaces, photography and video works, he has previously shown in various high-profile exhibitions, including Istanbul Biennial, Manifesta 4 and 9, and the Tirana Biennial. 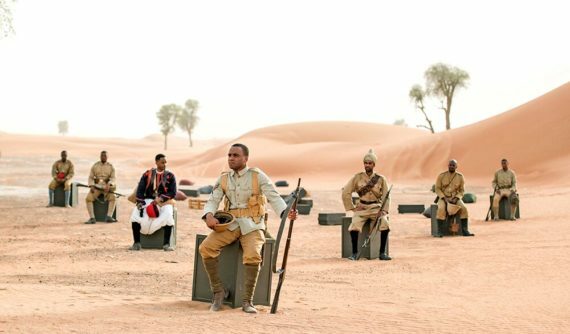 Another country making its biennale debut is Madagascar, which is represented by the artist Joël Andrianomearisoa, who has previously shown at the Biennale de Dakar, Senegal, the 12th International Cairo Biennale, and Africa Now! His multidisciplinary practice, which includes works on paper, textile, audiovisual, sculpture, architecture, and installation, explores perceptions of reality and their relation to conceptions of time. The joint pavilion of Finland, Norway and Sweden tackles the relationship between the human and non-human world with a series of sculptural installations by Ane Graff (Norway), Ingela Ihrman (Sweden) and the Finnish artist collective nabbteeri. Titled ‘Weather Report: Forecasting Future’, the exhibition is commissioned by the Museum of Modern Art Kiasma, Helsinki, in collaboration with the Moderna Museet, Stockholm, and the Office for Contemporary Art Norway (OCA). With its curators talking of ‘an age when climate change and mass extinction are threatening the future of life on Earth’, it nevertheless plans to create a hopeful mood. Included amongst the works will be Ihrman’s A Great Seaweed Day installation, while nabbteeri are working with the Giardini gardeners to gather organic material for both the inside and outside spaces of the pavilion.